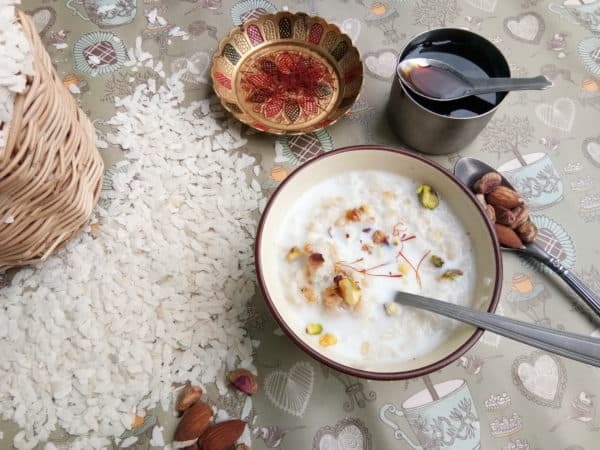 Doodh Pauva, rice flakes delicacy from the gujarati cuisine. 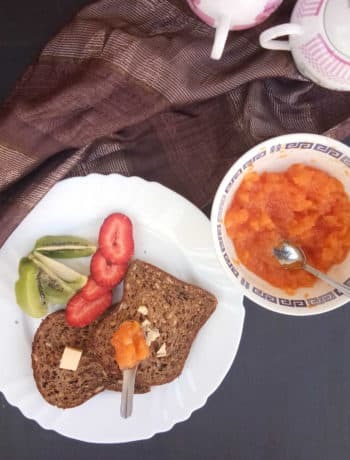 I love to have a warm breakfast. Yet the morning hours of getting the kids ready, lunchboxes and other gazillion jobs to get on with- the breakfast often gets a lukewarm treatment . in such cases we resort to a cornflakes breakfast. It sounds lucrative.. ” had breakfast” . Honestly, the bowl of cornflakes seldom holds me up until midday.. It leaves such an enormous craving for food. Overall the whole day I pretty much crave junk.. and eat more than I ever should. With one such a day on the run, “today”, I decided to put an end to all the cold breakfast running late. There is nothing more easier than a good bowl of rice flakes . The red rice flakes soaked in warm milk is what I have seen my mom have before the quick dash she does to catch her bus to her work place. When this image flashed in mind. I use to love it too.. With a generous sprinkle of Jaggery she used to serve this as a snack too . The aroma of the hand pounded fresh rice flakes is addictive. 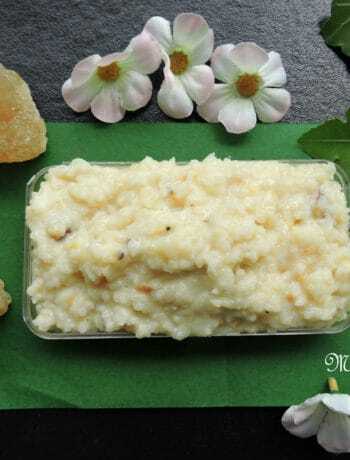 Now, this is the same recipe which is Doodh pauva, is a Gujarati must have on the auspicious full moon day of Sharad Poornima. So my morning glory can be a perfect moonlight dessert to share. 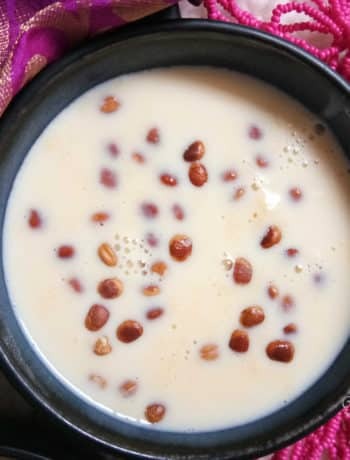 The recipe for the festive food doodh pauva however has the milk reducing to nearly half the quantity and sugar to load up. So I take the shortcut version to serve. When in a glorious mood I do the same with golden masala milk, making me feel all so special. It becomes my naivedyam, on festival days too. Currently, I do not have the hand pound red poha /aval /avallaki/riceflakes. So, now a days am satisfied with the white flakes. When I do get a handful of the red flakes… I will upload a pic for you…till then enjoy this recipe version. For the vegan version I simply replace the milk with almond milk…. love love the density of the almond milk or the creaminess of the cashew milk. Wash riceflakes and set aside Five minutes before serving, add soaked pauva to the masala milk. Mix and then serve Top with more crushed nuts and serve. In a pan, boil milk. Once it is boiled, switch off the flame. if using plant based milks warm up the milk. Serve after two minutes so that the rice flakes can soften too. Serve with mixed fruits. Plant based milks taste wonderful too but then mind the soaking time of the rice flakes. I store the jaggery as a syrup by boiling it in water till a honey texture and strain out the impurities. Seriously, this looks so fresh and delicious! I’ll have to try it this weekend. Quick and healthy breakfast option..perfect for busy mornings !! This is really interesting! 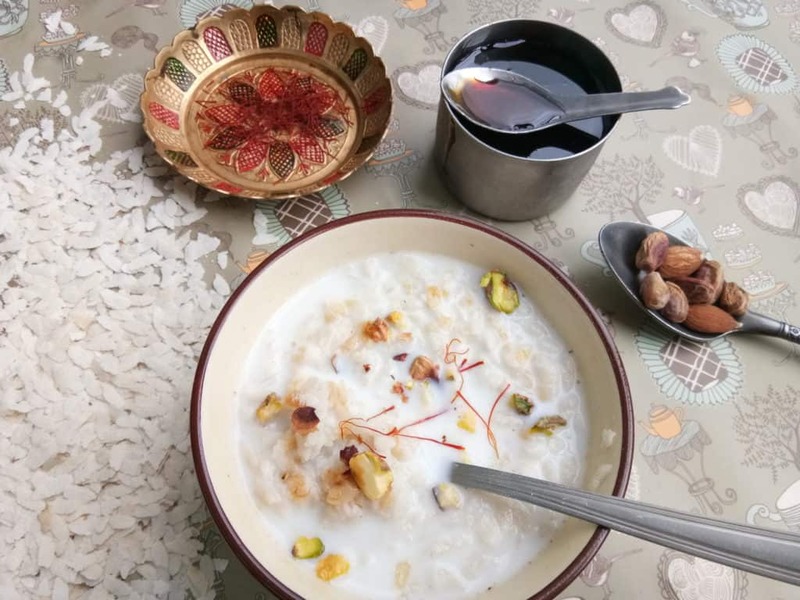 Umma has poha in her black tea sometimes as breakfast… this sounds like a good one to try for suhoor… soon for sure! thats interesting. kattan chaya ? or sulaimani? Thankyou, very kind words indeed.